Rodgers said when she got into the room her daughter, Journi Black, was on the floor covered in blood. "I went to take my son to the bathroom. 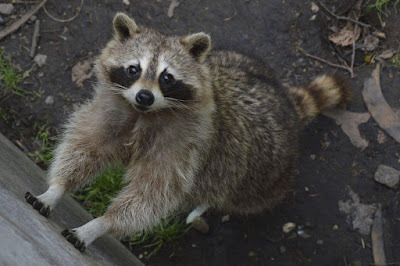 We heard a sound upstairs and we see a raccoon run down the steps," she said. 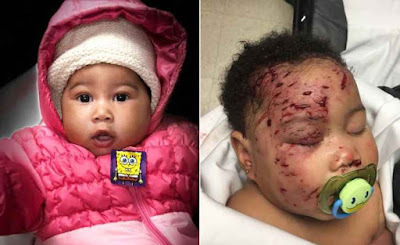 "When I finally got to her, she was laying on the floor so it had dragged her off the bed, across the room, and she was bleeding and crying and her whole face was red." 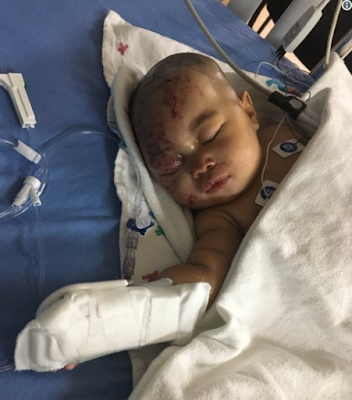 Journi was rushed to St. Christopher's Hospital where she received 64 stitches during surgery. The infant also had to get a rabies shot and is said to be in fair condition. Rodgers said she won't be returning to the home and plans to take legal action.